By nature, the tactics, techniques, and procedures that define Special Operations require the use of highly specialized equipment to execute what are undeniably some of the most daring and hazardous missions in modern warfare. One such example is the Sikorsky MH-53 Pave Low, arguably the premier Special Operations helicopter in the world. Even in the wake of its recent withdrawal from service, the extraordinary performance and unique capabilities it brought to the battlefield remain second to none. To fully appreciate the impressive capabilities embodied by the Pave Low, one must understand its heritage, the roots of which began during the U.S. involvement in Vietnam. heavy-lift helicopter which had entered service with the Marine Corps in September 1966, the Air Force borrowed two Sea Stallions from the Marine Corps to evaluate them for use in the CSAR role. Consideration of this aircraft was primarily based on the power, speed, range and internal payload capacity that it offered. Upon delivery of two Sea Stallions in November and December 1966, Air Force evaluation of the type was carried out at Eglin Air Force Base (AFB), Florida. 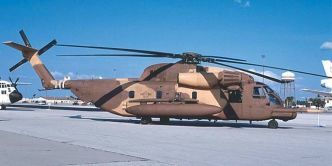 At the conclusion of a favorable evaluation, the first flight of the newly-designated HH-53B Super Jolly Green Giant (usually just shortened to “Super Jolly”) was achieved on March 15, 1967, and deliveries to the Air Force began in June. Key features incorporated into the B-model included an extendable inflight refueling probe, jettisonable auxiliary fuel tanks, a rescue hoist, all-weather avionics and defensive armament. The first two examples reached Southeast Asia on September 14, 1967, followed by six more over the next few months. rapidly deployed to the Southeast Asia theater of operations where it proved to be even more effective in CSAR. Still, despite the impressive capabilities that the HH-53B/C brought to bear, it remained deficient in one major area: the ability to effectively perform the mission at night, especially in adverse weather conditions. The Air Force had actually identified the need for an aircraft capable of performing personnel recovery at night and in all kinds of weather as early as 1965, even before the HH-53 had entered service. However, other more pressing needs across the military services took precedence and this requirement went largely unaddressed for two years. The success of the HH-53 in Vietnam made it an ideal platform on which to base the night/adverseweather CSAR capability so urgently needed by the Air Force. necessary to de-conflict the sheer volume of aircraft using the same airspace. Furthermore, such missions put an inordinate number of personnel and resources at risk. All of the aforementioned factors, combined with mounting losses of personnel and aircraft as combat intensified, made the requirement for a more effective CSAR platform more urgent, leading it to be spelled out more emphatically in Southeast Asia Operational Requirement (SEAOR) Number 114 dated April 03, 1967. This requirement called for an aircraft capable of penetrating hostile territory with little or no support, independently locating and retrieving the survivor(s), and affecting a safe and rapid egress back to friendly territory, all under the cover of darkness in all kinds of weather. It became time-critical that such an aircraft be fielded as quickly as possible. 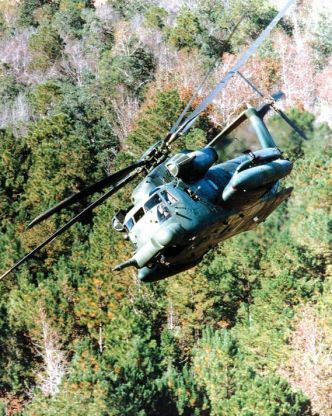 The demonstrated capability and performance of the HH-53B/C in the CSAR arena during daytime made it logical to simply modify these aircraft, rather than attempt to develop and produce a whole new aircraft for the mission. The YHH-53H, known as the Black Knight, served as the testbed for both the Pave Low II and III programs. An early production HH-53H is seen here during Qualification and Acceptance Testing at Kirtland AFB. them into a Night Recovery System (NRS) for the HH-53B/C, hopefully attaining the goals originally set for Pave Star. Tests were conducted in 1971 using a modified HH-53C to verify that performance of the Pave Imp system was at least equal to or better than that of the LNRS. Results were positive, and combat evaluation was subsequently accomplished at Udorn RTAFB during a 90-day period. Although Pave Imp provided a significant increase to existing night recovery capabilities and it was recommended that the system continued to be utilized to the fullest extent possible, the team responsible for evaluating the system made it clear that limitations still existed. They concluded that efforts should continue toward developing an unrestricted all-weather night rescue system. ran concurrently as research proceeded at a feverish pace. 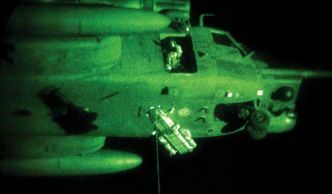 The first effort to introduce a night rescue capability on the HH-53 was initiated on April 25, 1968 and involved a system known as the Limited Night Recovery System (LNRS). This system was comprised of a Low Light Level Television (LLLTV) camera, an infrared (IR) illuminator, a Direct View Device, a Doppler navigation system, a radar altimeter and an Automatic Approach and Hover Coupler System. Operational testing, which was accomplished at Eglin AFB, consisted of 96 simulated rescue sorties. 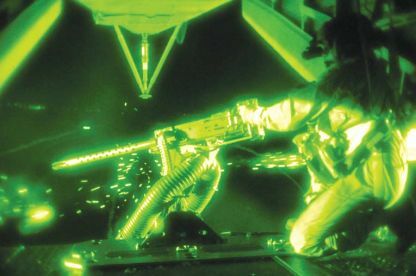 Tests clearly demonstrated that the system did indeed provide a limited capability to accomplish night combat aircrew recoveries over a variety of terrain, and deployment of the system was recommended. Subsequently, incorporation of the LNRS on a number of HH-53s based in Thailand at Udorn Royal Thailand Air Force Base (RTAFB) began in November 1969. Two months later, a total of eight aircraft had received the modification. Looking Radar (FLR) to provide low-level penetration capability for the HH-53. The FLR would work in concert with night vision systems to provide CSAR capability in total darkness under adverse weather conditions in all geographical areas at low level. This program, christened Pave Low, marked the beginning of a revolution in night/adverse weather CSAR capability, ultimately leading to what would become the pinnacle of combat rescue platforms. The nose of the Pave Low was dominated by the TF/TA radar, the FLIR ball turret, and the inflight refueling probe. were ultimately deemed too high, so the AN/APQ-141 was eliminated from consideration in favor of one already in production. Known as the "pizza rack," this collection of electronics was the heart of the Pave Low's sophisticated communicationsand navigation system. weather CSAR requirement remained relevant. 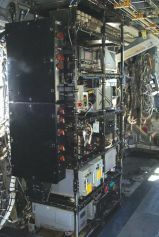 Map Display System (PMDS); Flight Director instruments; an Electronic Location Finder (ELF); and a Hover Coupler (HC). 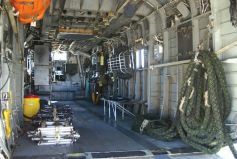 The spacious cabin of the Pave Low provided plenty of room for passengers, mission equipment or additional fuel. they heard radio traffic regarding the crash of an HH-3 in a canyon located south of the base. Departing the test range, they used their on-board systems to race to the area and locate the downed helicopter and its crew within ten minutes. improvement were made, however, regarding the equipment used to pinpoint and positively identify the survivor(s) on the ground. Nevertheless, the system had demonstrated an unprecedented ability to accomplish what had been virtually impossible less than a decade earlier. As a result of the successful evaluation of the Pave Low III, a revised PMD was issued on April 29, 1977, authorizing procurement and installation of the Pave Low III system in eight HH-53C aircraft. Approval was also given to modify the prototype to production configuration, making a total of nine HH-53H aircraft. All structural modifications and installation of subsystems would be carried out at the Naval Air Rework Facility (NARF) at Naval Air Station (NAS) Pensacola, Florida. 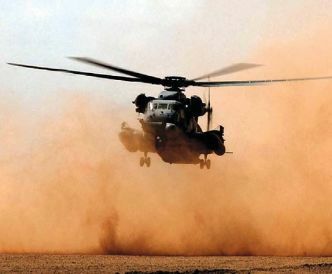 This was done to reduce costs and risks in regard to technical and logistics support since all major overhauls and depot maintenance on H-53 helicopters throughout the military services were already being performed there. The NARF received its first HH-53C for conversion on August 23, 1977. Nineteen months later, on March 13, 1979, a formal ceremony was held at NAS Pensacola during which the first operational Pave Low III helicopter was rolledout in front of an enthusiastic crowd of distinguished military and civilian personnel. At the time, the aircraft had been given the unofficial moniker “Black Knight,” a name coined by personnel in the Specialized System Program Office at ASD which managed the program. From his position on the open rear ramp, the tailgunner had a very wide field of fire from which to suppress threats. 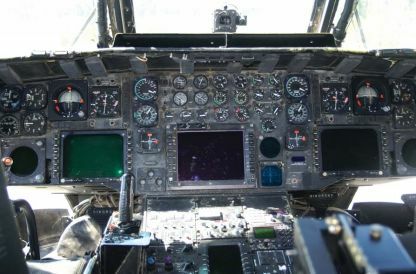 They had picked it as a reference to their legacy of work in years past on other nighttime-oriented military aircraft, such as the Lockheed AC-130 Spectre fixed-wing gunship. Additionally, the original test aircraft for Pave Low II and III, wearing an overall flat black paint scheme, had been adorned with an emblem consisting of a chess knight centered within a white circle. However, the Air Force never adopted the name or the symbol, nor did it ever bestow an official nickname upon the aircraft. Although the Pave Low name technically referred to the specialized systems installed on-board the HH-53, the term soon became synonymous with the aircraft itself. attempt to rescue the hostages only a month earlier under Operation Eagle Claw, leaders had considered use of the Pave Low III in a second rescue attempt. However, a second attempt proved unnecessary, as the hostages were released before a second operation could be implemented. 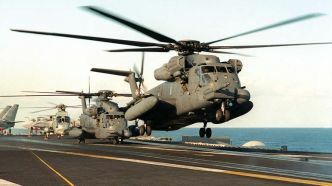 Nevertheless, the functionality of the Pave Low system had been proven, and the Air Force had finally attained a much-needed capability. the treetops…a task usually performed in the dead of night! with an additional thirty-one examples being added to the inventory by way of converted HH-53Bs, HH-53Cs and CH-53Cs. 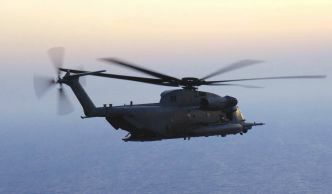 That same year, in a move designed to better align the MH-53J with its new multifaceted mission, all Pave Lows were transferred to the newly-formed Air Force Special Operations Command (AFSOC). MH-53H became fully immersed in the shadowy world of Special Operations, leading it to become the first Air Force helicopter to be fully cleared for operation with Night Vision Goggles (NVGs). probe fitted on the starboard side of the nose. 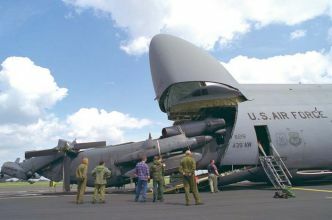 An automatic hydraulically-actuated blade-folding system for the main rotor and a folding tail pylon, both of which were retrofitted beginning in the early 1990s, facilitated stowage and handling when transporting the Pave Low aboard a Lockheed C-5 Galaxy or Boeing C-17 Globemaster III. 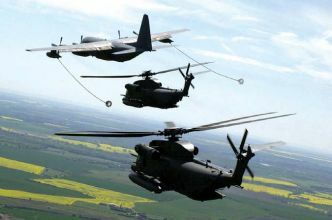 Inflight refueling was a key factor in the Pave Low's ability to penetrate deep into hostile territory. 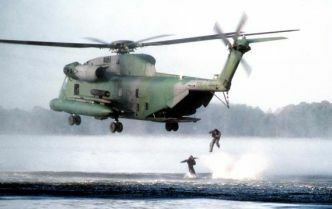 Insertion of Special Operations Forces took many forms, one of which was helocasting as seen here. defenses, a technique known as terrain masking. Despite a gross weight of up to 50,000 lb, the Pave Low’s robust construction and more-than-adequate power margins allowed pilots to enjoy a virtually unrestricted flight profile. In addition to aggressive low-level flying tactics, a variety of on-board equipment and systems served to protect the Pave Low from the inevitable dangers lurking in hostile territory. To defend against threats at the objective, any combination of three GAU-2B/A 7.62 mm miniguns or GAU-18/A .50 cal machine guns were mounted one each in the port window, starboard crew door and rear ramp. Chaff and flare dispensers were mounted at various points on the airframe and AN/ALQ-157 IR jammers were placed strategically on top of each gull wing to defeat incoming heat-seeking missiles. In addition, a comprehensive Electronic Warfare (EW) suite was fitted to counter other threats. proven to significantly enhance their combat effectiveness and survivability. The extremely low altitudes which comprised the Pave Low’s primary operating environment made situational awareness by all crewmembers a critical element in mission accomplishment, particularly since approximately 95% of all Pave Low missions were flown at night. A true team effort became paramount when arriving at the rescue site and entering into a hover or landing to retrieve personnel in total black-out conditions. While on-scene, the use of NVGs by the crew was an absolute necessity to ensure visual awareness of ground obstacles such as trees, rocks, electrical power lines or other hazards. 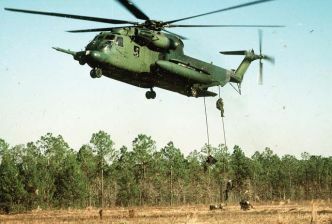 The Pave Low, seen here performing a fast rope insertion, wore a three-tone European Igreen/gray paint scheme throughout the 1980s and early 1990s. 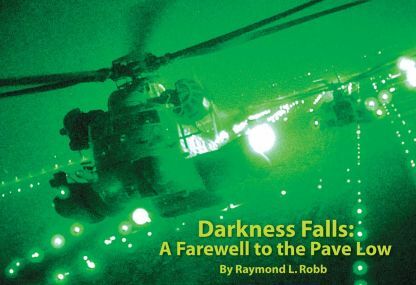 After leading the very first mission of the 1991 Gulf War, the Pave Low performed countless other missions, many of which remain shrouded in secrecy even today. 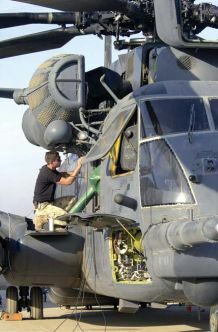 Along with the clandestine insertion and extraction of Special Operations Forces throughout the theater of operations, the Pave Low also took part in some highly publicized operations, one of which was the rescue of a downed U.S. Navy fighter pilot: the recovery of Lieutenant Devon Jones was noteworthy not only for having been performed under enemy fire in broad daylight, but also for being the first successful Air Force CSAR mission since the Vietnam War. A select few MH-53Js wore a two-tone desert camouflage scheme known as Asia Minor during Operation Desert Storm. From the mid-1990s through the end of its career, the Pave Low adopted a single overall color known as Gunship Gray. The ability to compress the Pave Low for carriage aboard large cargo aircraft allowed rapid deployment to any continent on the globe. highly-tasked platforms in the Air Force. In total, only 41 airframes received the Pave Low modification. Its heavy use in all theaters of operation around the globe was taxing on the airframe. 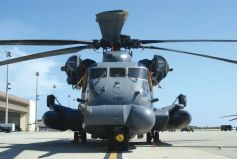 To maximize its usefulness and longevity, the entire Pave Low inventory underwent a Service Life Extension Program (SLEP) beginning in the mid- 1990s, receiving numerous upgrades and new components. The SLEP not only allowed the Pave Low to continue flying despite its considerable age, but it also provided enhanced mission capabilities. measure of flexibility to the Pave Low mission. About 95% of all Pave Low missions took place at night, a feat at which the aircraft and her crews excelled. A Stokes litter is being winched into position during this night time exercise. again entered large-scale combat when the Global War on Terror (GWOT) began at the start of Operation Enduring Freedom in Afghanistan in September 2001. 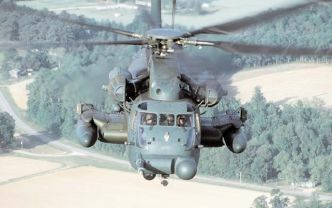 Eighteen months later, when the invasion of Iraq occurred in March 2003, the Pave Low was again at the forefront of combat during Operation Iraqi Freedom. Both of these conflicts were significant for their heavy emphasis on Special Operations, a task for which the Pave Low and its crews proved immensely effective. As in previous conflicts, the Pave Low was often – not surprisingly – one of the first assets present within a given theater of operations. airframe had no structural fatigue problems. Even as late as June 2008, Pave Low crews were engaged in low-level flight training in the mountains and valleys surrounding Roanoke, Virginia. Ever-rising maintenance costs and man-hours were key factors in the decision to retire this impressive but aging machine. as the “Boneyard, adjacent Davis-Monthan AFB, Arizona. 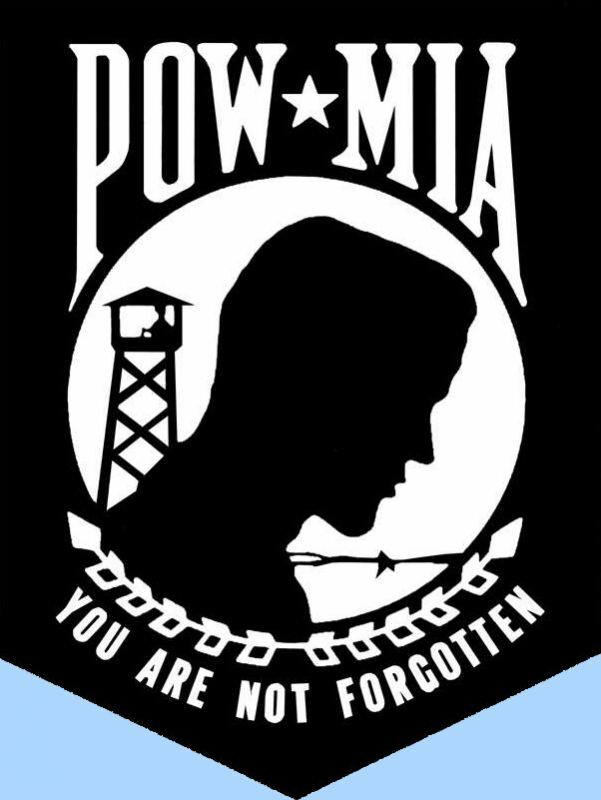 Those that were not taken to the Boneyard found their way to museums around the country, ensuring their place in history as a symbol of freedom and the heroes they supported. As the drawdown of the Pave Low occurred, some units chose to commemorate the service of of this remarkable aircraft with formal ceremonies honoring the type. One of those, the 20th Special Operations Squadron (20th SOS), held the distinctive honor of being the last unit to operate the Pave Low. The Pave Low was the final and most versatile variant of the Air Force H-53. A formal retirement ceremony, attended by scores of military and civilian guests, was held on October 17, 2008 at Hurlburt Field, Florida. Pilots, aircrew members, maintainers and various others who were involved with the Pave Low at one time or another all gathered to bid a fond farewell to the machine they knew and admired. In the Hurlburt Field Air Park, an MH-53M now sits immortalized on permanent display. Osprey tiltrotor into full operational service as a partial replacement for the Pave Low. While the Osprey’s superior speed and range will allow it to perform long-range infiltration/exfiltration and resupply, differences in flight profile, performance and capability as compared to the Pave Low will not allow it to fill completely the void left behind by the MH-53J/M. Instead, the remainder of the Pave Low mission will be carried out by Army Special Operations helicopters such as the Boeing MH-47E/G Chinook. Indisputably, the Pave Low established a solid and well-deserved reputation for performance and reliability among its crews and maintainers. Its high mission-ready rate was a testament not only to the hardworking maintenance crews, but also to the sheer ruggedness of the H-53 airframe. Having performed countless clandestine military operations across the globe, ranging from the small-scale conflicts of the 1980s to the present-day liberation of Iraq and the ongoing campaign in Afghanistan, the Pave Low will be remembered as a true warrior. The “cloak-and-dagger” nature of Special Operations dictates that many of the missions undertaken by the Pave Low and her valiant crews will remain shrouded in secrecy for years to come. Eventually, when these missions are one day made public, the true valor and bravery inherent in the Pave Low community will be revealed. In addition to its secretive wartime role, the Pave Low provided valuable assistance in peacetime disaster relief and humanitarian support missions in numerous places around the world. In the aftermath of Hurricane Katrina, Pave Lows provided airlift for equipment, supplies and personnel in the massive relief effort. Even as recently as mid-September 2008, less than one month prior to retirement, a Pave Low was placed on standby to assist the U.S. Coast Guard on a mission to rescue the crew of a Cyprusflagged freighter adrift in the Gulf of Mexico in the midst of Hurricane Ike. 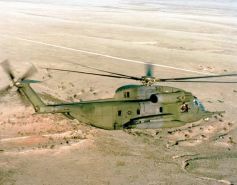 The Pave Low served admirably in the deserts of Southwest Asia, flying its final combat mission in Fall 2008. Office, Wright-Patterson AFB, OH, 1988. World Air Power, Crescent Books, New York, NY, 1980. Coulsdon, Surrey, United Kingdom, 2007. Publications, Inc., Carrollton, TX, 2000. • Air Force Link: www.af.mil. • The Pave Cave: www.thepavecave.com. As the sun sets on the Pave Low, the legacy left behind will remain one of the great success stories of Air Force Special Operations. The author wishes to personally acknowledge and thank the following individuals for their valuable assistance and generous contributions in preparation of this article: 1Lt Lauren Johnson and TSgt Kelly Ogden, 1st SOW Public Affairs Office; Capt Brian Daniels, TSgt James Rhodes, SSgt Matt Garcia and SrA Jack Price, 20th SOS; SSgt Jamieson Ross, 1 SOHMXS; Capt Sean Borland, 71st SOS; and Tom Lawrence, Sikorsky Aircraft. at Wright-Patterson Air Force Base, Dayton, Ohio, and is an avid aviation enthusiast, photographer, and historian. He is a frequent contributor to Vertiflite.